A loading shovel is generally found in quarry's, farms and building sites, they are either fitted with wheels or tracks. They are predominantly used for clearing, moving and loading aggregates such as soil, waste and rubble etc., where they are capable of lifting huge amounts with relative ease. 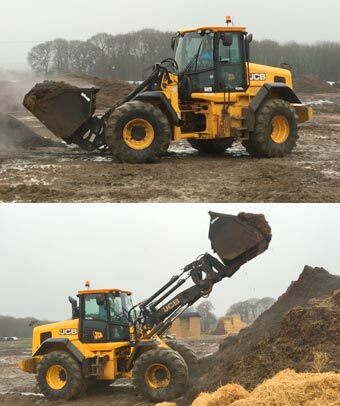 Other attachments can be fitted for various use such as forks for loading and unloading vehicles. Training on the Loading Shovel can only take place on a customer's premises.